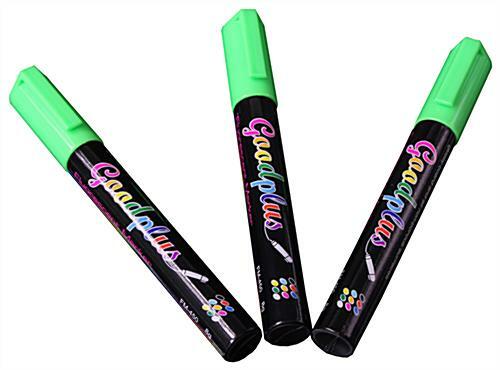 This Neon Green Wet Erase Marker Captures Customer Attention with Vivid Ink! This Writing Tool for Advertising Will Be Used Again and Again. This Neon Green Wet Erase Marker Makes it Easy to Update Messages. Fluorescent green ink draws in new customers! Unlike chalk, this liquid pen dries fast and stays put! 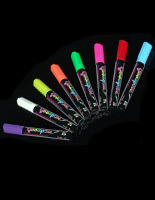 This color stick is water-based and non-toxic, making it a great choice for schools and libraries! 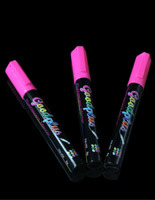 This neon green wet erase marker that is inexpensive is shipped in a 3-pack so users don't run out of ink! This writing tool for a whiteboard is a vibrant color that dries quickly and stays in place. Often seen in a café, restaurant, or retail store, this neon green wet erase marker that appears in our collection of blackboard markers, works well on a glossy board, window, glass, o write-on LED unit for advertising. 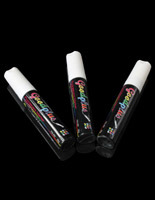 This writing tool, among our line of whiteboard markers, is essential for posting messages that get noticed. 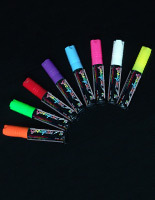 This neon green wet erase marker, bright stick for marketing is eye catching because it is bright and shiny. This advertising tool is easily cleaned with a damp cloth so messages can be changed out frequently. 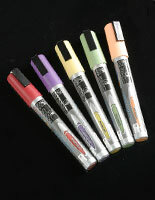 This neon green wet erase marker has a narrow tip, just 1/16" so that intricate messages can be written. What's great about this liquid pen is that it dries fast, and so it will not run, nor will it leave chalk dust behind on blackboards! 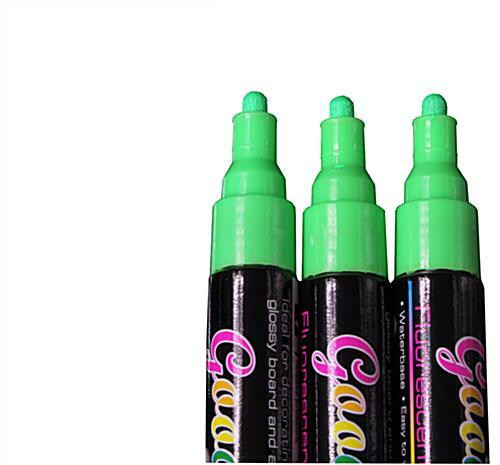 Buy this neon green wet erase marker and enjoy a boost in sales, today! Your organization can't do without whiteboard markers in this day and age!